Not so long ago we had a slightly awkward post meal encounter with a waitress. No, we weren’t querying the bill or pointing out that service was already included but my mother, who is both hard of hearing and plain of speaking (which means she often voices her plain thoughts at full volume), asked the waitress if we might have a doggy bag. The waitress bore a nametag saying “Irenka” and spoke with an Eastern European accent. It did not take a genius to work out that English was not her first language and that a “doggy bag” was a term she had not encountered. If you Google doggy bag what comes up has mostly do with cleaning up after your animals and very little to do with taking leftovers home. Irenka was alarmed. But, once we’d explained, she was more than happy to supply a bag and foil. “In Poland we say resztki” she smiled. This sounds almost as exotic as pierogi (Polish dumplings) but actually simply translates as leftovers. We left clutching tomorrow’s dinner. My mother who grew up during the war regularly asks for doggy bags. In America you are routinely offered receptacles for whatever is left on your plate (and, given the size of the portions, there is generally another meal to be had) but here, and now, we seem to be strangely reluctant to ask if what remains of a meal we have paid for (and will only be put in the bin) might be taken away. 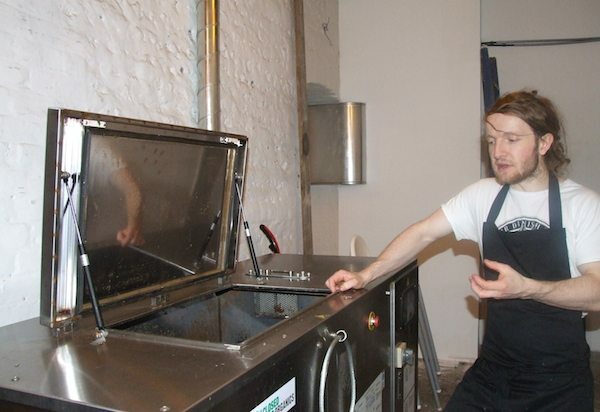 Douglas McMaster from Silo (UK’s first zero waste restaurant) explaining how their in house compost machine works. With campaigns to reduce food waste and chefs like Hugh Fearnley-Whittingstall and Thomasina Myers urging customers to take unwanted food home, it’s becoming less of an embarrassment and more of a norm. Eating in, after eating out is the new eating out. 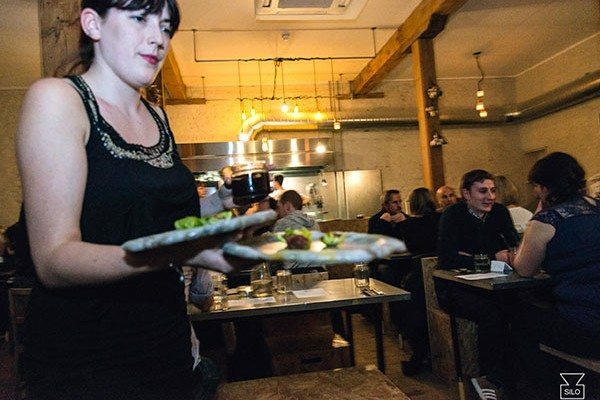 And Brighton, which we like to think of being at the forefront of change, with restaurants like Silo with its zero waste policy, has been quick to latch on. At fine dining establishments like Indian Summer and the Salt Room, waiters are more than happy to produce boxes for leftovers, if you ask. And with companies like Too Good to Waste manufacturing “doggy boxes” they ought to become as common in kitchens as cutlery. Waiters at Archipelago offered them to us without prompting, after we wildly underestimated the size of a range of mezze dishes. Pizza Express has boxes at the ready and our local pubs, the Signalman and Preston Park Tavern are more than happy to wrap up whatever you can’t quite manage to eat on the day. I know. 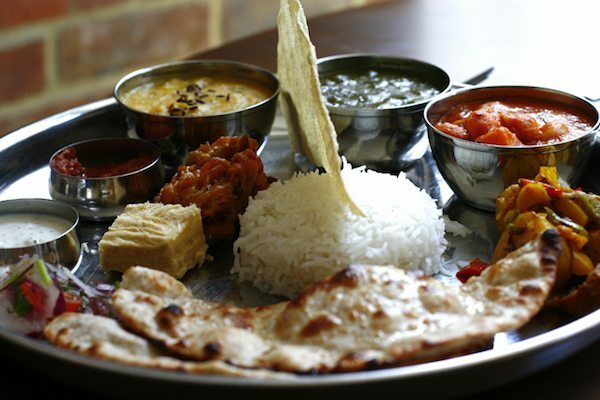 It feels odd, the first few times you ask, if you’re British and reserved – but the food will only be wasted. Think of it as a compliment to the chef. Even though you are too full to eat any more, you can’t bear the thought of the delicious morsel of whatever it was being thrown away, when you could be enjoying it at home the day after. Even in France, where doggy bags have been frowned upon in as an affront to gastronomic etiquette, restaurants are now legally obliged to provide them if requested by diners. The new regulation, which came into force on New Year’s Day, is aimed at cutting the tones of food thrown out annually. In Brighton and Hove we throw away a staggering £60m of food a year, according to the city’s food partnership. That’s not just restaurant waste but it’s a sizeable part of it. Ask if you can take your leftovers home. Just be careful how you phrase it, if your waiter or waitress’s first language is not English.